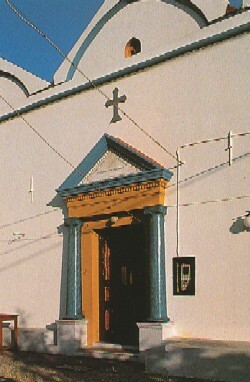 Émponas (Εμπωνας, "sitting on a chair"), or Embonas, is a pleasant village, one of the most picturesque Rhodes , lost in the mountains, at the foot of Mount Atavyros . 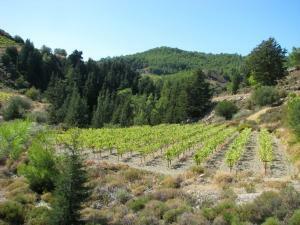 This mountain village, surrounded by vineyards known, is considered the wine capital of Rhodes. It owes its fame to the grape variety "Athiri" which thrives on small terraced hillsides west of Atavyros and whose culture dates back to antiquity. Attempts to cultivate this variety outside Rhodes have all failed. 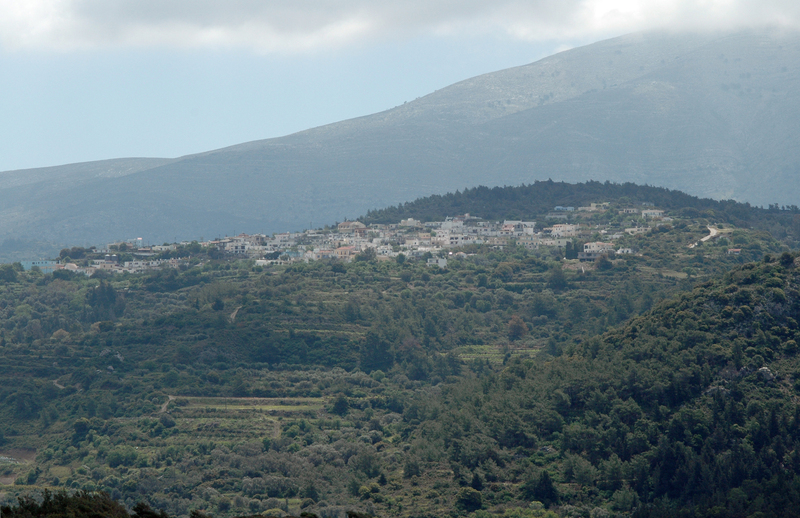 The village is also famous for its fruit, olive groves and tobacco plantations. Monument of the winged goddess of victory, Nike, on the main town square. 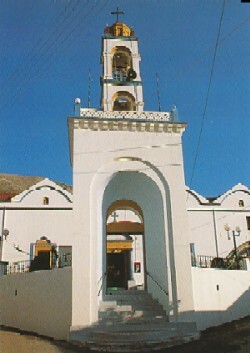 The village is actually attacked by mass tourism: many local taverns, famous for their fresh meat barbecues, Greek nights offer with performances of traditional dances. Many villagers still wear the national dress with long boots. You may prefer the quieter and more authentic village where you can buy carpets and textiles in the manufacture of which almost all the inhabitants are specialized. 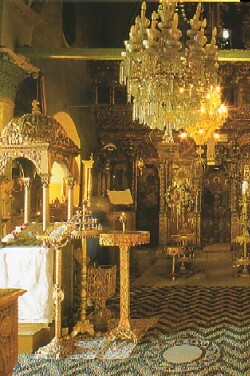 The main church is dedicated to the Dormition of the Virgin, whose feast is celebrated on August 15. 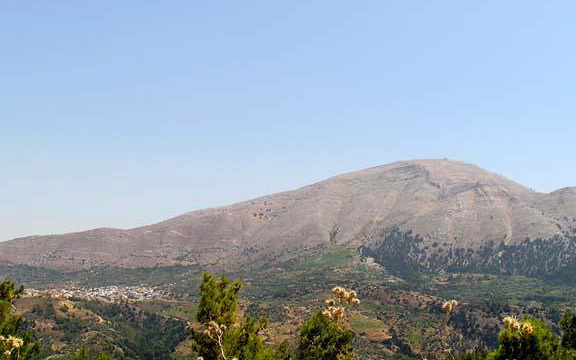 Émponas is located on the northeast slope of Mount Atavyros 62 km from the city of Rhodes , is the village of the island of Rhodes located at the highest altitude (850 m). 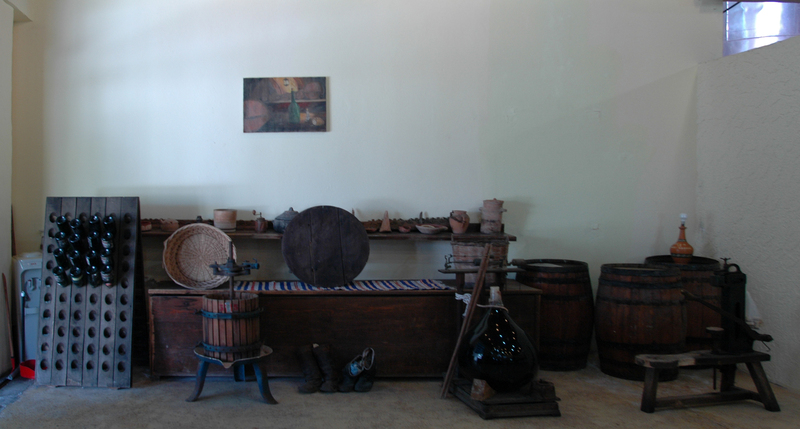 Emery The winery is open to visitors for tastings.